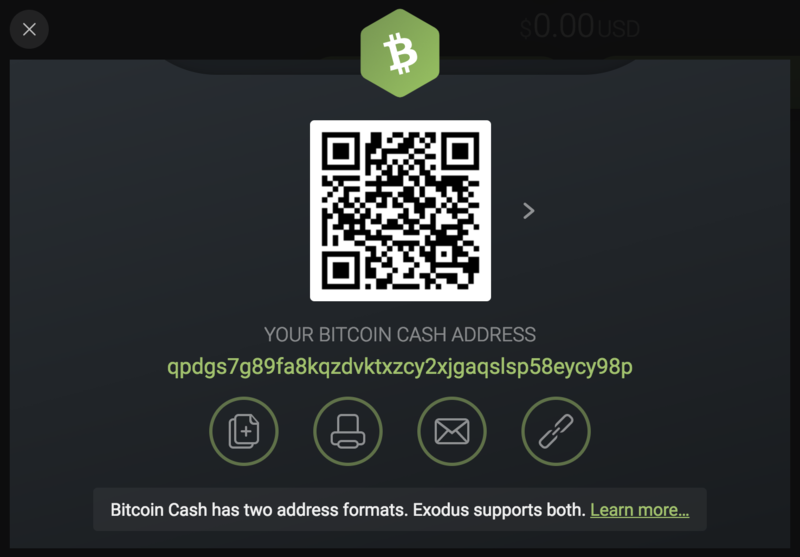 Starting with Exodus version 1.47.0, you can send and receive Bitcoin Cash (BCH) using your preference of two different Bitcoin Cash address formats - Cash Address, also know as q Address, and the legacy address. If you are using an older version of Exodus, please upgrade. What is the new Bitcoin Cash (BCH) "CashAddr" Format? 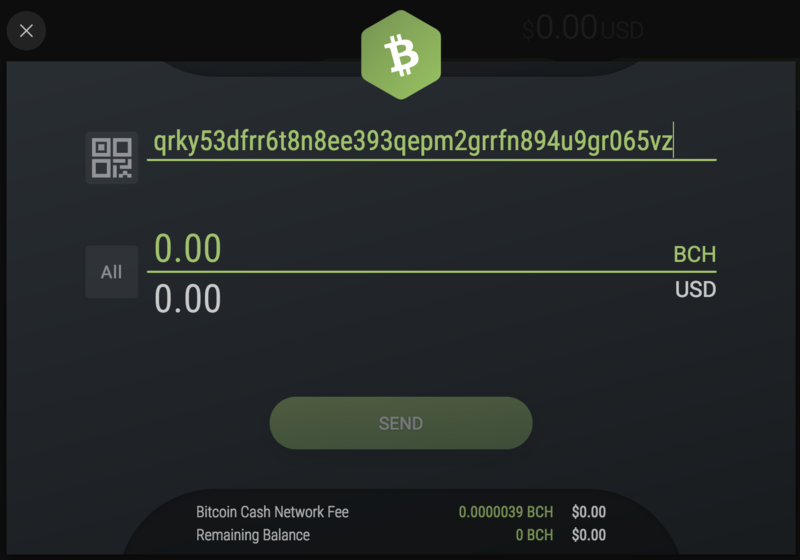 How do I send to the new "CashAddr" Bitcoin Cash (BCH) address? Where can I view my old and new Bitcoin Cash addresses? The "CashAddr" format was developed by the Bitcoin Cash team to encode addresses in a format to reduce user error when sending and receiving Bitcoin Cash. This new format helps distinguish between Bitcoin Cash (BCH) and Bitcoin (BTC) addresses. Because Bitcoin and Bitcoin Cash are so similar many people send wrong coins to a wrong address. 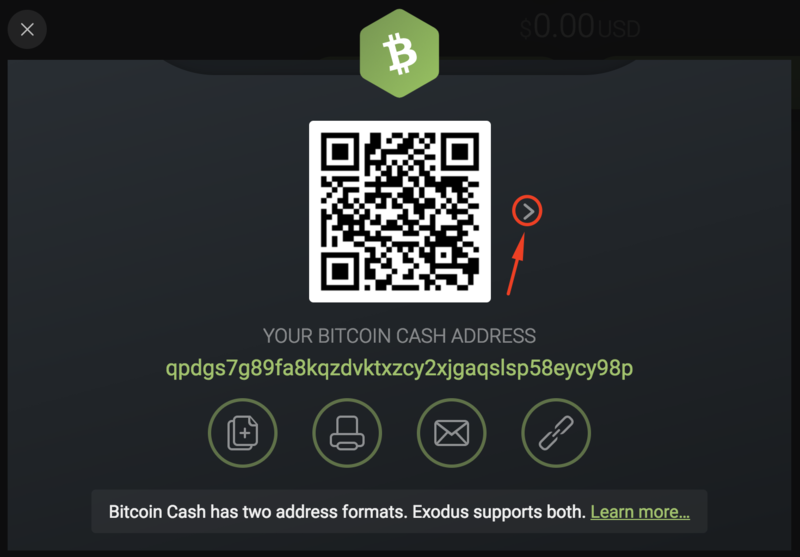 If you ever send Bitcoin (BTC) to an Exodus Bitcoin Cash (BCH) address or Bitcoin Cash (BCH) to an Exodus Bitcoin (BTC) address, Exodus has a feature to help get your potentially lost funds into the correct wallet. You can send funds to a "CashAddr" address as you would send to an old address. Simply copy and paste the "CashAddr" address of the wallet you want to send funds into the address field in your "Send" window, enter the amount you would like to send, and then click the "SEND" button. 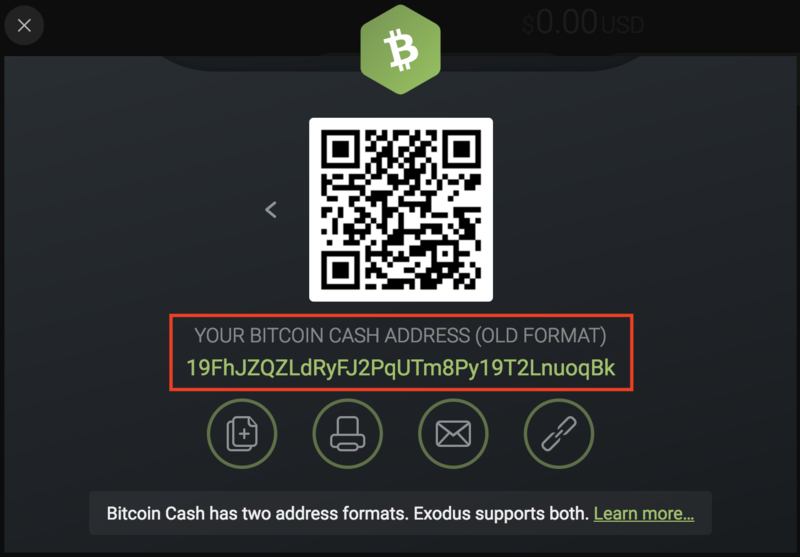 The new format "CashAddr" address is visible by default when you click on the "Receive" button in your Exodus Bitcoin Cash (BCH) wallet. You can always tell you are using a new Bitcoin Cash "CashAddr" address format because it starts with the letter "q". To view your old address, click on the arrow to the right of the QR code. PRO TIP: Your old BCH address (The address that starts with the number 1) is simply a conversion of the new 'CashAddr' address. Funds sent to both addresses work to receive Bitcoin Cash.